I get excited about lentils. That’s just a fact. You can love me or leave me for it. But I suggest you stay. 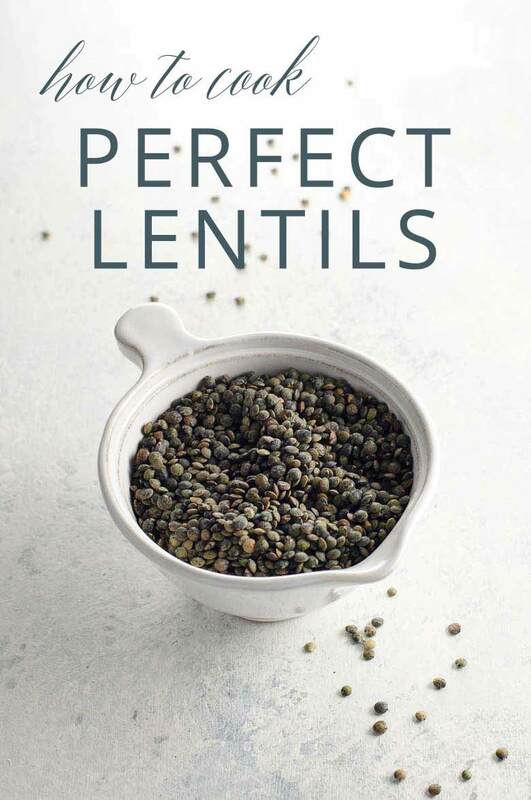 If you do, I’ll show you how to cook lentils befitting the fabulous person you are. Psst...here's how to cook a pound of dried beans on the stovetop, in the oven, or in the Instant Pot, too. 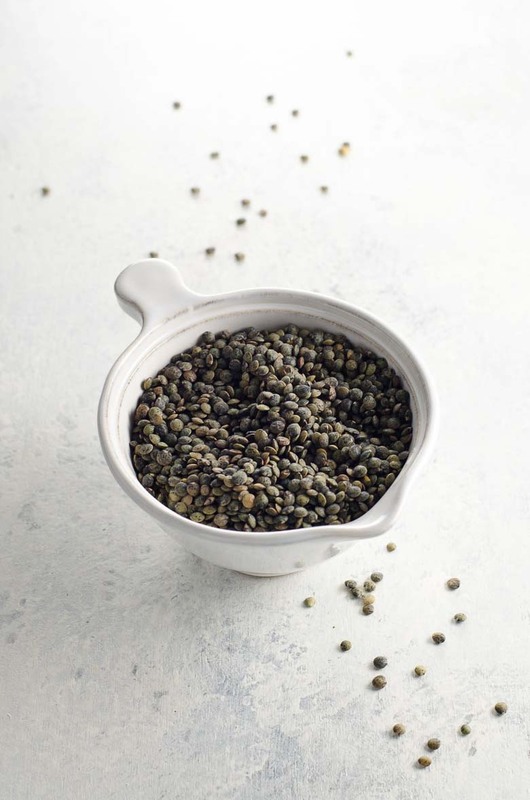 A teaspoon of herbes de Provence adds a lot of flavor to these lentils. Blends vary but usually contain some combination of savory, marjoram, rosemary, thyme, oregano, and lavender. A perfect pot of lentils — savory, lightly herbaceous, perfectly tender — can be yours in under 30 minutes. 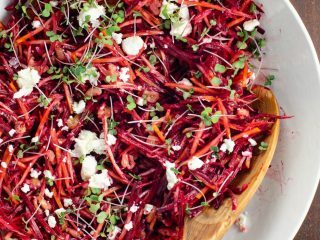 Then you can spend the week tossing them into grain bowls and onto salads or leftover sweet potatoes or really wherever your heart desires. You can make a complete meal out of all of the things all of the time (give or take) as long as there’s a great pot of lentils in your fridge. 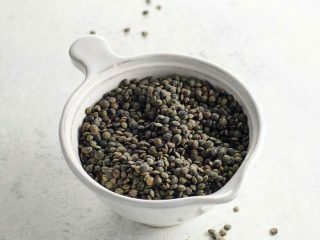 Any variety of lentil will work with this cooking method, but I particularly like Puy lentils for salads and bowls because they hold their shape and a little bit of bite even when beautifully tender, and even after a week in the fridge. They taste great, too. Otherwise, what’s the point? A really great, flavorful pot of lentils is less than 30 minutes away. 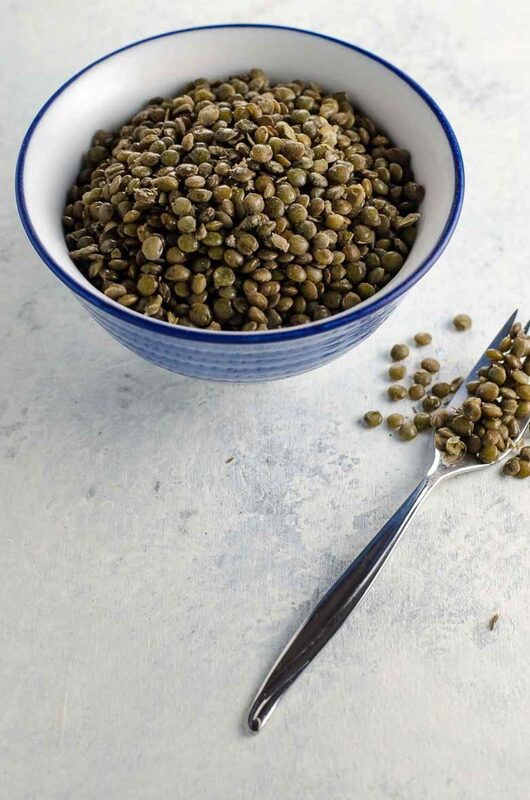 Any lentil variety will work for this recipe as long as you test for doneness, but I especially like Puy lentils for salads and bowls because they taste great and hold their shape even when nice and tender. Exact cooking time will depend on the age and variety of your lentils, but I find 25 minutes is almost always right for the Puy lentils I buy, regardless of source. These babies will keep well in the fridge for a week, and some weeks that's a lifeline. They'll turn anything from a simple green salad to a leftover sweet potato into a meal. Rinse lentils well in a fine-mesh sieve. Place in a small (about 2-quart) pot and cover with water by 1 to 2 inches. Stir in herbs and salt. Bring to a boil, then immediately reduce heat to maintain a gentle simmer. Cook until lentils are tender but still intact, about 25 minutes. Drain and serve as you like. Keeps, tightly covered, in the fridge for a week. Place the vinegar, oil, sugar, salt, and a few grinds of pepper in a large bowl and whisk to combine. Slice the cucumbers into thin 1/8-inch-thick rounds. Place them in the bowl, add the chives, and toss to combine. Cover and refrigerate for at least 30 minutes or overnight to allow the flavors to meld. Taste and season with salt and pepper as needed before serving. 1. Whisk together the first 6 ingredients in a large bowl. 2. 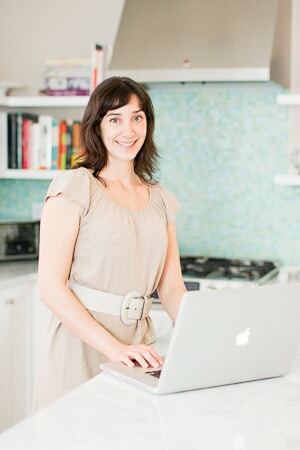 Spread a rimmed (18×13-inch) half sheet pan with the tablespoon of olive oil. 3. Dunk the salmon in the miso glaze and arrange along one edge of the baking sheet. 4. Next, toss the asparagus in the glaze and arrange in one even layer in another corner of the baking sheet. 5. Finally, toss the bok choy with the remaining glaze and arrange in a pile in the open space on the baking sheet (don’t worry about piling it up a little—it will help them steam and cook through). 6. Roast in the oven for 12 to 15 minutes, or until the fish is firm to the touch (if you’d like a little more color on the salmon, broil it for 2 minutes at this point). 7. Remove from the oven, garnish with sliced scallions and sesame seeds, and serve.